I can see the difference and they light up the road in front of me pretty well... I would recommend NOT going to a higher wattage bulb. Better bulbs – I use Silverstars and am quite happy with them, but others will say they’re useless gimmicky crap. Whatever; I can see the difference and they light up the road in front of me pretty well. There are other good alternatives as well. I would recommend NOT going to a higher wattage bulb. HID conversion kit – reflectors, lenses, bulbs, and ballasts. Probably the best improvement, but expensive. OK – I am poverty stricken and have ordered a set of bulbs. Both headlights were totally out of adjustment and the right hand one won’t adjust at all .When I took the cover off behind the lampholder inside the engine bay I felt the reflector moving like it is hinged on the top but whatever locks the bottom in place has left go and it swings like a trapeze. Both reflectors are in good condition and look nice and shiny and silver. With the lights set up properly (only had the car a couple of months) and the new bulbs it should work out OK. While we’re on the subject, please forgive me for repeatedly asking basic questions but how do I remove the glass headlight lens to see what’s happened to the reflector that moves? I can see the spring clips around the top, but not what else holds it in place at the bottom or side against the rubber seal? I don’t want to break anything. Does the park light assembly have to come off too, and how does that fix in place? Dull headlights, what's the cheap fix? I put new Silverstars in my V70 XC AWD. High beams are great. Low beams are lousy. Can they be adjusted? 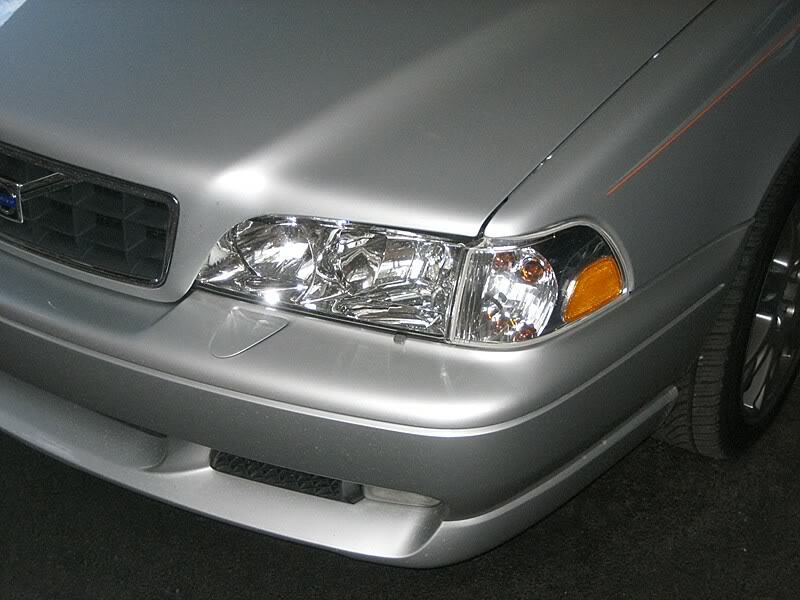 Volvo xc90 2006 how can I improve the headlights and make them brighter.